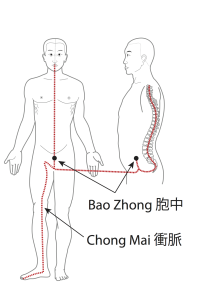 Most people who study acupuncture understand that the Chong Mai has three paths or lines that run from the Bao Zhong胞中. The Bao Zhong is the lower part of the Dantian. One of the lines rises up the front of the chest to the mouth area. The second line runs from the Bao Zhong passes the Huiyin會陰 and follows the spine. 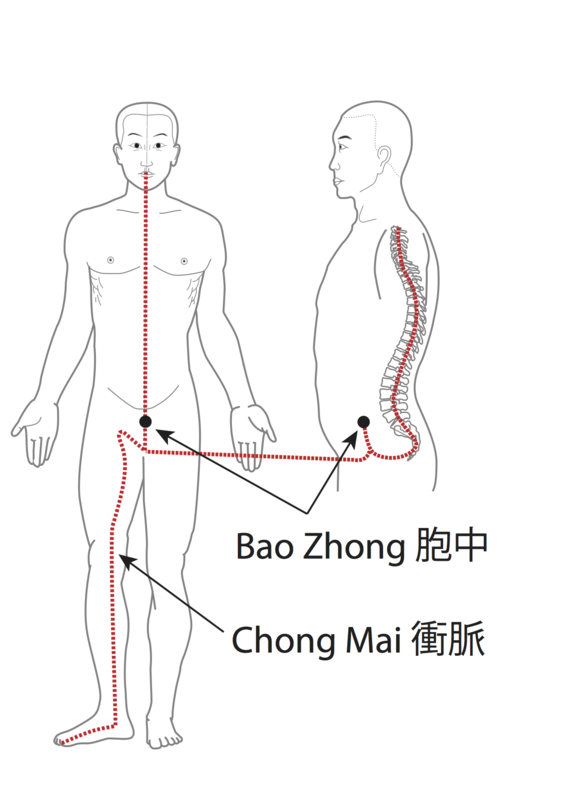 The third line also starts at the Bao Zhong and goes down the inside of the legs along the three Yin Foot Channels, Spleen, Liver and Kidney to inside of the big toe. I worked it out, now I can see all the Dao articles from 1-55 so long as I manually enter the number. Such a great website! Thank you! You should be able to click on the “Qigong Dao” menu item on the top to get access to all the Dao articles.